Immediately following the announcement of the United Nations Partition Plan for Palestine in November 1947, which laid the basis for the declaration of the State of Israel, thousands of Jewish people in Palestine, men and women, young and old, spontaneously burst into dance in the streets, singing and dancing in circles, linking hands over shoulders. This collective emotional outburst physically and symbolically signaled the birth of the new nation. It also drew upon an Israeli dance movement that had been developing among young Zionist settlers in Palestine. Since then Israeli dances have represented an important though little-researched component of the Israeli nation-building project. 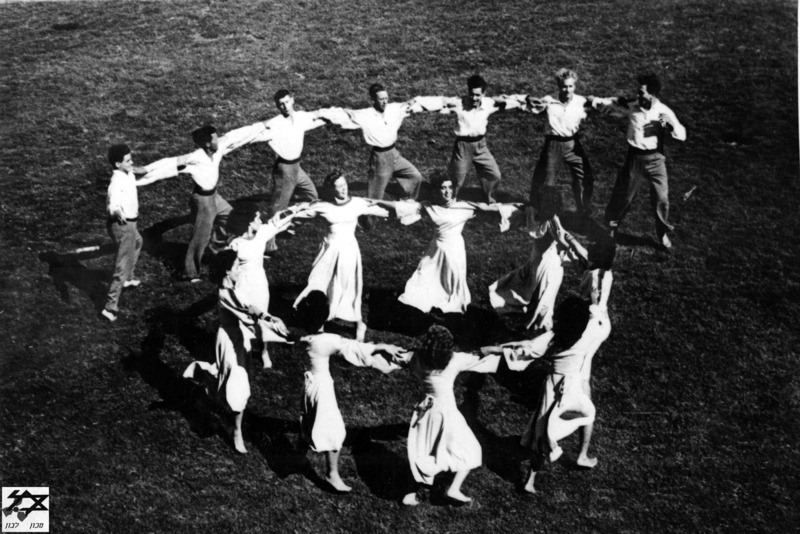 In this talk I explore the social history and the current reach of the Israeli folk dance movement as a cultural manifestation of Zionist ideology in motion. I will start my discussion in the early thirties of the 20th century, which marks the beginning of this movement in Palestine, and will continue the analysis until the present day, both in Israel and abroad, as the dances have expanded beyond the geo-national borders of Israel. Dina Roginsky is a senior lector of Modern Hebrew language and culture in the Department of Near Eastern Languages and Civilizations at Yale University. Her research interests focus on the intersection between the sociology of culture, history, politics, and performance. Her doctoral dissertation, Performing Israeliness, analyzes the one-hundred-year social and ideological history of the Israeli folk dance movement. Roginsky is a co-editor of the book Dance Discourse in Israel (2009), which explores the field of Israeli dance research, and the book Sara Levi-Tanai: A Life of Creation (2015) which acknowledges the multifaceted contribution of an extraordinary Yemenite woman artist who operated in pre-state Israel. Roginsky is currently working on her third book titled: Conflict in Dance: Jewish-Arab Relations in Israeli Dance.